Welcome back! After taking a few weeks off, I would like to continue our journey through the history of downtown Ellensburg. Between the years of 1879 and 1889 downtown Ellensburg saw a tremendous amount of growth. 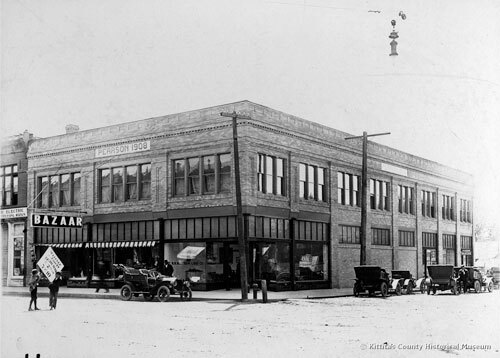 In 1886 a train of the Northern Pacific Railroad reached Ellensburg helping to fuel business and population growth. 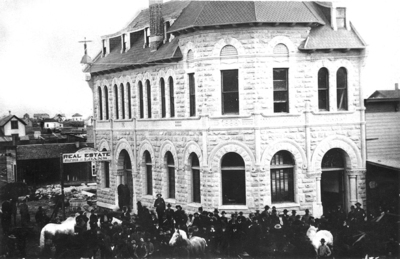 Ben Snipes, a famous cattleman of the time, entered the banking world in 1886. 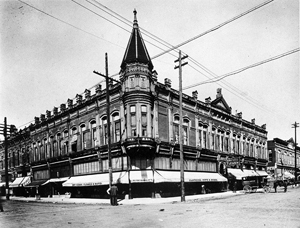 In 1888 Snipes built the Ben Snipes Bank, on the southeast corner of Fourth Avenue and Pearl Street, where the Wells Fargo building is found today. The Ben Snipes Bank was said to be the most appealing downtown structure at that time. The Ben Snipes Bank was only one of many buildings constructed in downtown in the 1880’s. 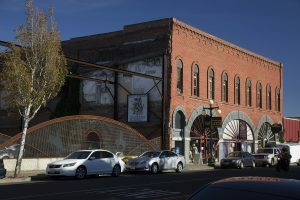 Others included the Johnson House hotel, several downtown saloons, law office buildings, the Kittitas Standard newspaper office, and the Willis and Bryan Second Hand Store. 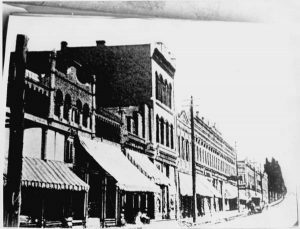 Most notably, in 1888, the Lynch block was constructed on the west side of Pearl Street between Fifth and Fourth Avenues. 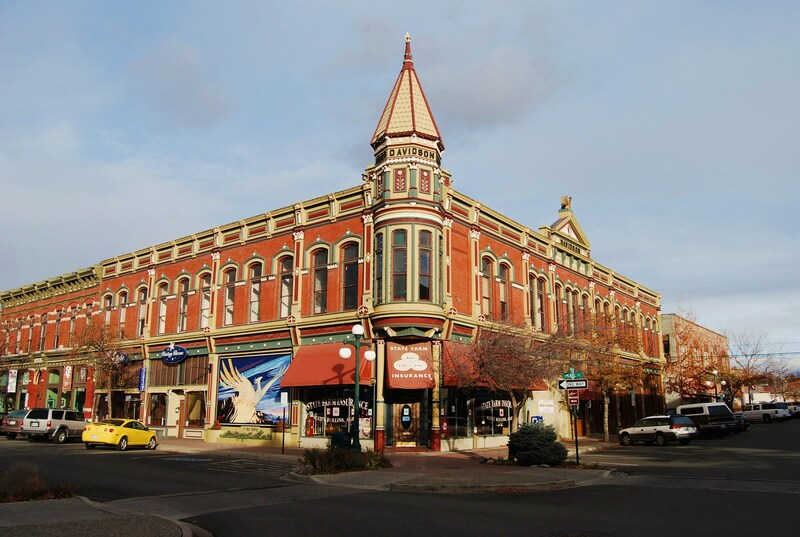 The Lynch Block was the only section of downtown Ellensburg which survived the Great Fire of 1889. One of the most well known pieces of Ellensburg’s history is the Great Fire of 1889, which destroyed 10 downtown blocks in just a few short hours, and cost the city from being selected as the State Capital. The Great Fire began on July 4th at 10:30 p.m. in J.S. 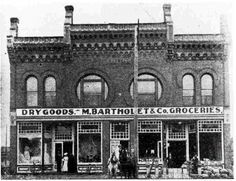 Anthony’s Grocery Store (which is now the site of Iron Horse Brew Pub). 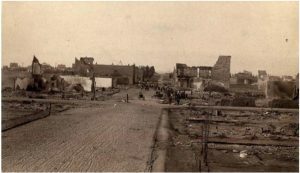 By 3:30 a.m. on July 5th, what was once a thriving and well developed downtown, was nothing more than ashes and ruins. The cause of the fire remains unknown. 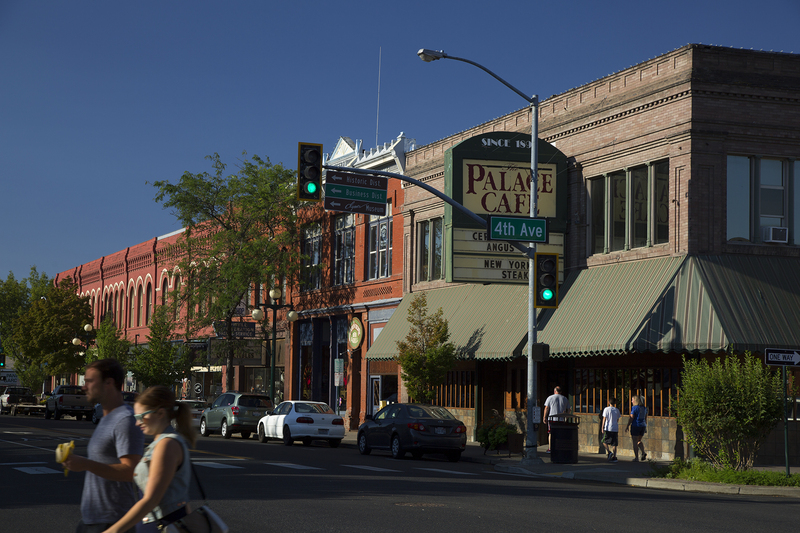 Only a few days after the fire, the people of Ellensburg rallied together and decided to rebuild. 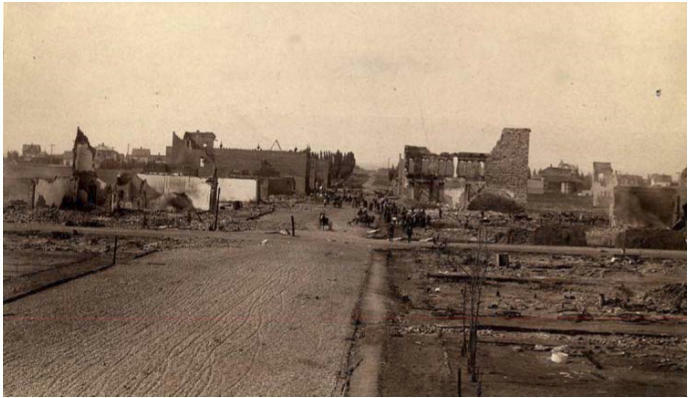 As the story goes, much of the city was rebuilt in four short months. 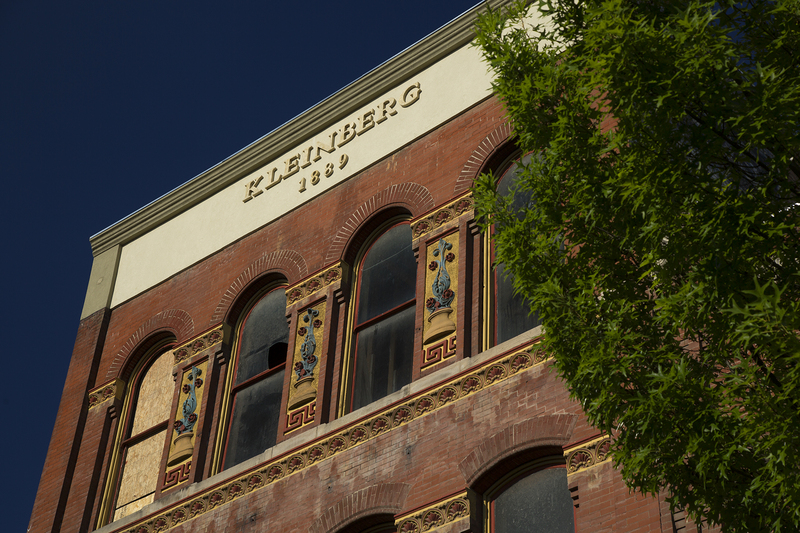 Many of the brick buildings that were constructed during the rebuild are still standing today. Arguably, the most notable structure built after the Great Fire is the Davidson Building, which serves as an iconic symbol of downtown Ellensburg. 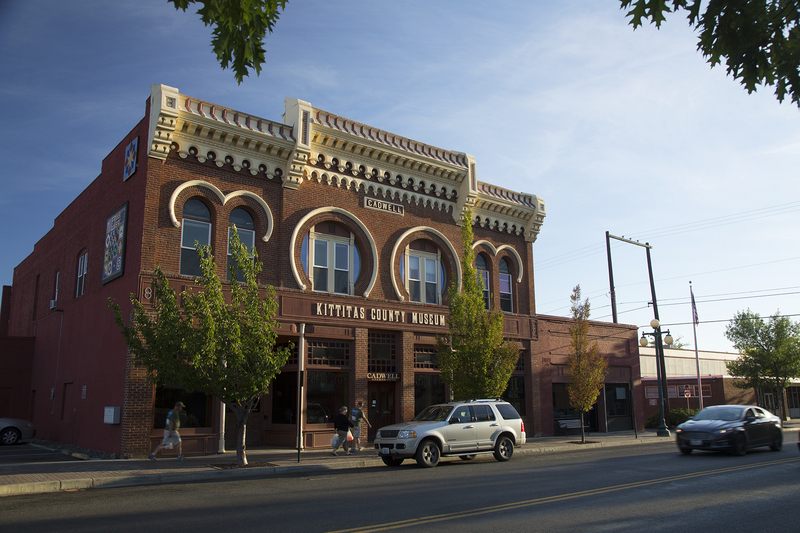 Others historic landmarks constructed between 1889, and the early 1900s include; the Caldwell Building which now houses the Kittitas County Historical Museum, The Castle Building located on the Northeast corner of Main Street and Fouth Avenue, The Geddis Building which is home to D&M Coffee and Nerdcore Toys and Collectibles, the Pearson Building home to The Palace Cafe, The Elmira, The Ramsey Building, The Kleinberg Building, The Main Street Market Building (also called the Arcade Building), The New York Café, and more! 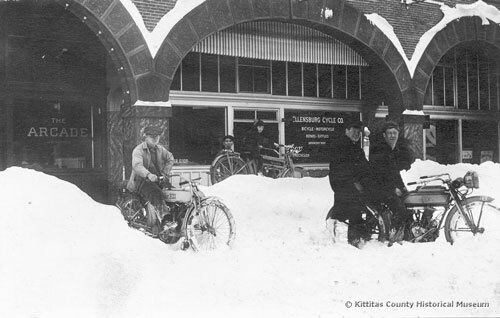 If you enjoyed this little snapshot of Ellensburg history, I encourage you to visit the Kittitas County Historical Museum and check out their exhibit “Ellensburg Aflame!” which explores the details of the Great Fire in further depth.